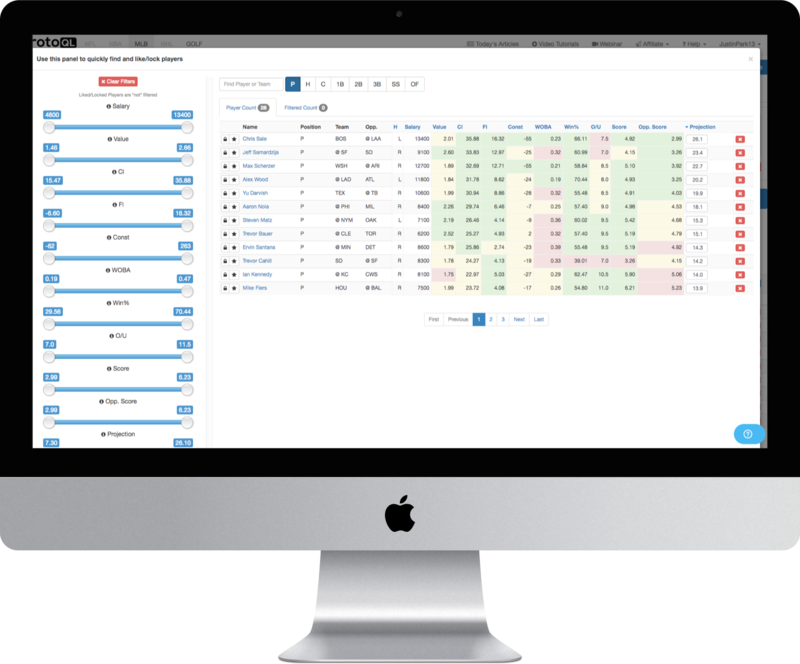 Effortlessly build lineups, find golfers who will beat the course and research with advanced PGA stats. 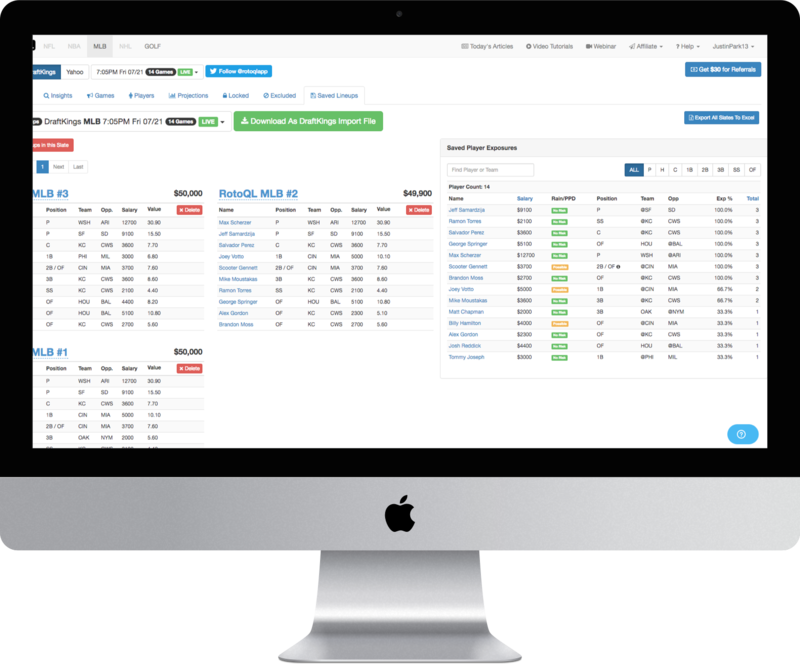 We make your daily fantasy golf research more efficient through Insights, Simple Player Research and our Stacked Lineup Builder. Query our large database of stats to find best values. 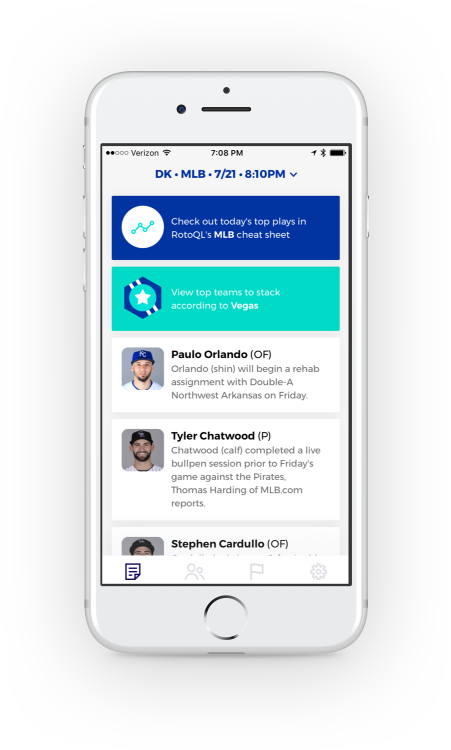 Create lineups using common daily fantasy baseball strategies. 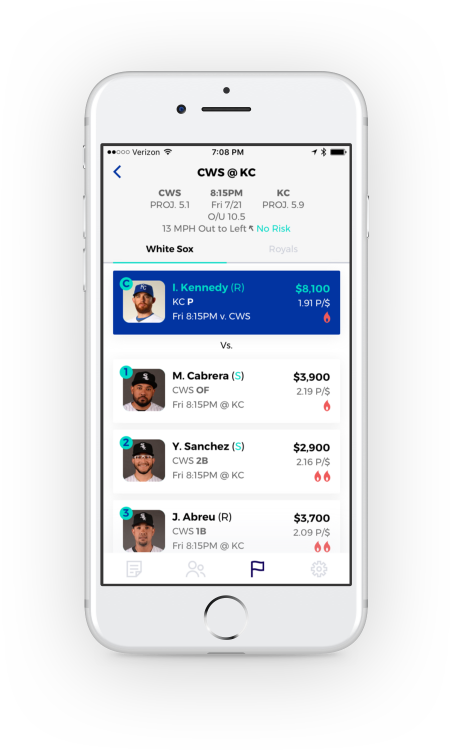 Our volatility slider generates lineups with higher upside for DraftKings and FanDuel tournaments. Identify stable Golf performers for optimal cash lineups. We deliver crucial player news right up to game time. We keep track of injuries so you don’t have to. Rest assured. As news breaks we update our daily fantasy Golf projections accordingly. Our golf projections were built, backtested and continually refined by our team of world-class data scientists and technologists. Our projections are built from the ground up, meaning we project each stat for each player, taking into account past performance, news, match-ups and more. 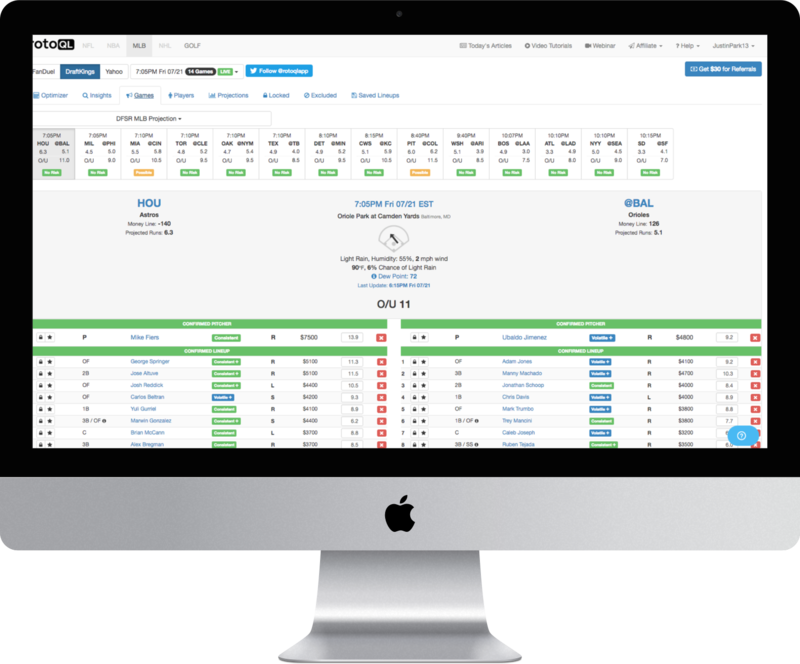 We offer the world's fastest and most reliable lineup optimizer. 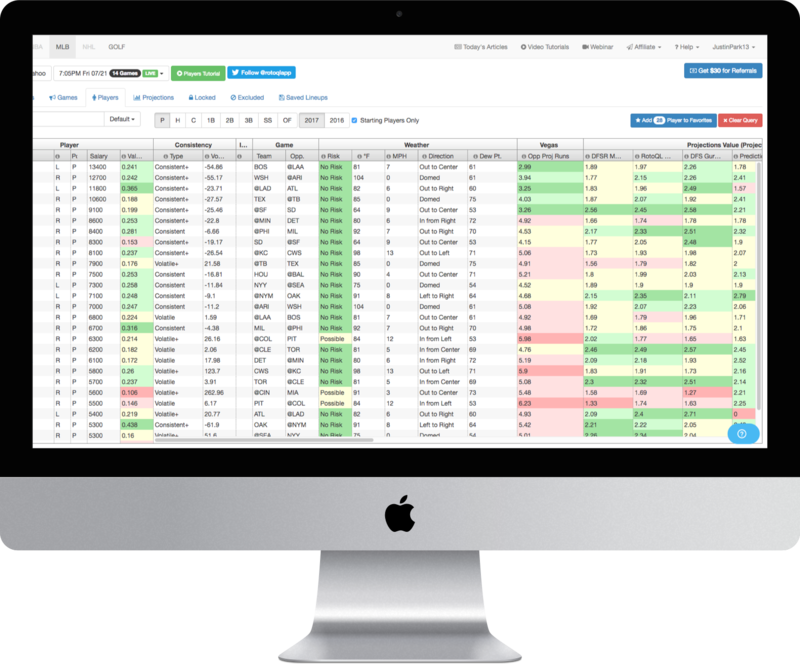 Create one to 500 optimal lineups with just one click. 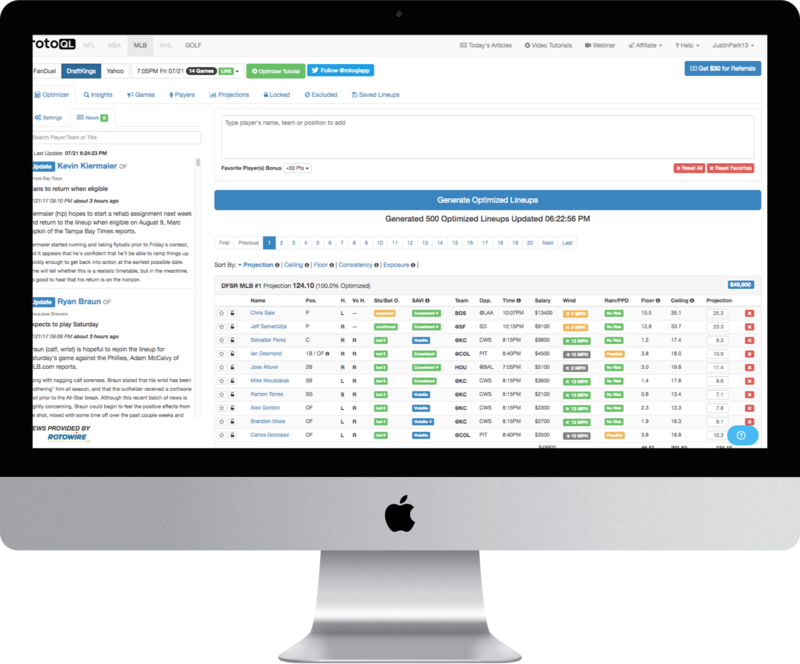 Seamlessly find cash and tournament plays by filtering players by salary, value and many more key stats. For data lovers, we provide historical data across dozens of keys stats so you can easily dig into the numbers. We provide all the different stack combinations and the tools to quickly identify the best ones. 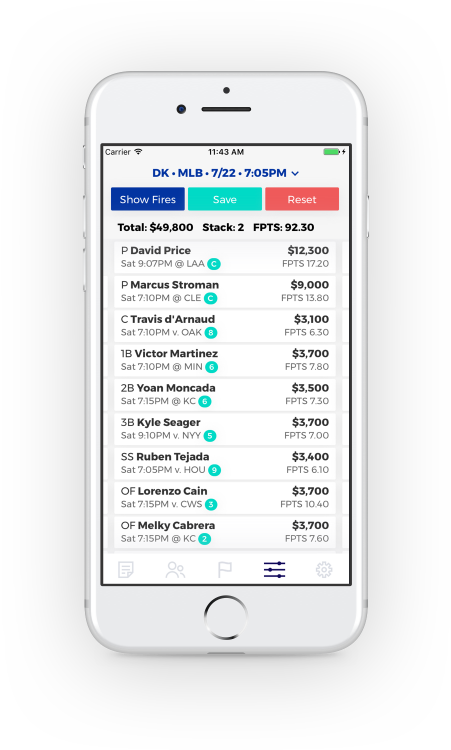 Save lineups and export them in CSV files that are compatible with DraftKing and FanDuel's import tool. Stay up to date on player news, injuries and more. Available for iPhone and Android. 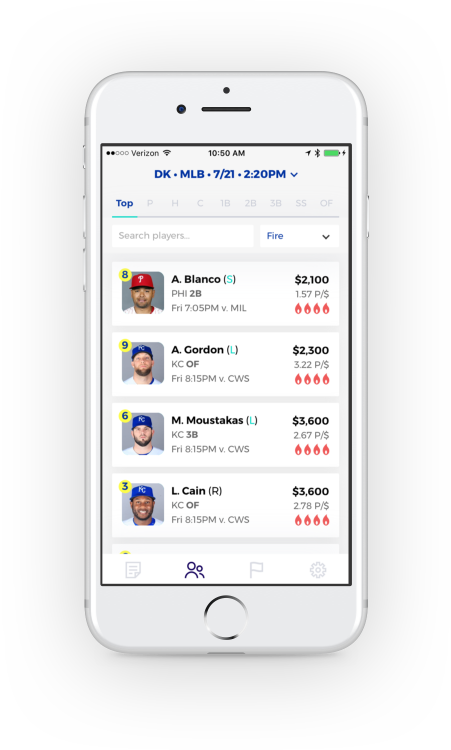 Find cash and tournament plays by thumbing through trending players ranked by "fire" status, salary, projected fantasy points and more. 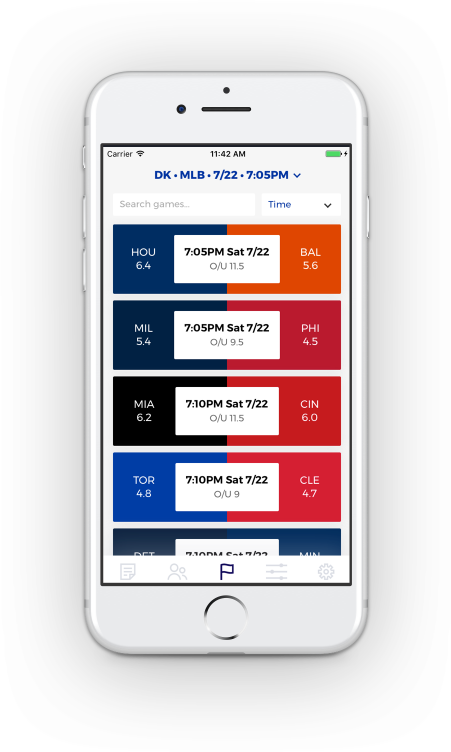 We provide a bird's-eye view of all the games being played in a given slate with over/under information. Lock in players with favorable matchups and avoid those facing tough opponents. 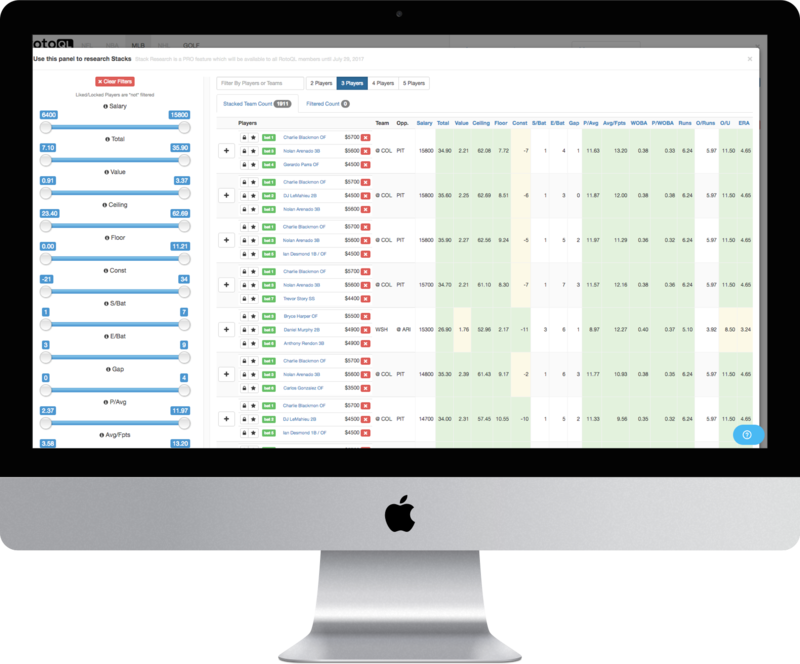 Seamlessly build an optimal lineup directly from your Apple or Android phone. Enough said? Time to try it.